Law enforcement's response to a violent white nationalist rally in Virginia last summer failed on multiple fronts, leading to "deep distrust of government" in the Charlottesville community, an independent review released Friday found. Former U.S. Attorney Tim Heaphy's monthslong investigation of the Charlottesville rally found that the city failed by not adequately communicating or coordinating in advance and by removing an officer from an area where a car plowed into counterprotesters and killed a woman. "This represents a failure of one of government's core functions_the protection of fundamental rights," the report said. "Law enforcement also failed to maintain order and protect citizens from harm, injury, and death. 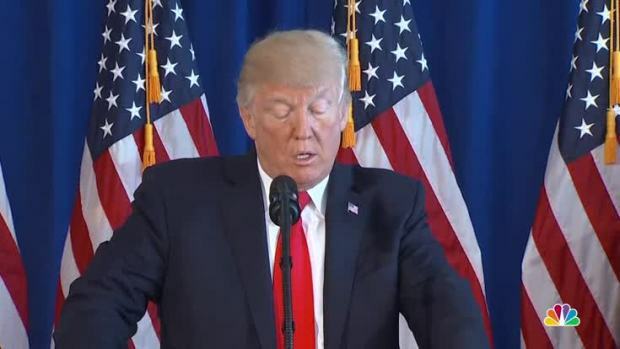 Charlottesville preserved neither of those principles on Aug. 12, which has led to deep distrust of government within this community." 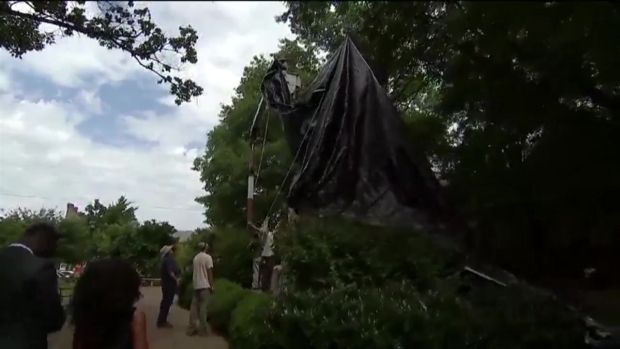 White nationalists who descended on Charlottesville in part to protest plans to remove a statue of Confederate General Robert E. Lee began fighting in the streets with counterdemonstrators before the event even officially began. The brawling went on for nearly an hour in front of officers until the event eventually disbanded. Later, as counterdemonstrators were peacefully marching through a downtown street, a car drove into the crowd, killing 32-year-old Heather Heyer and injuring many more. 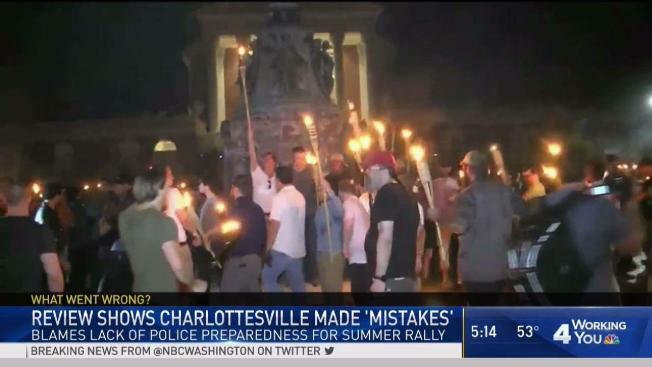 Charlottesville Police Lt. Stephen Upman said officials were reviewing the report and plan to confer with the city manager and City Council "to determine our next steps." 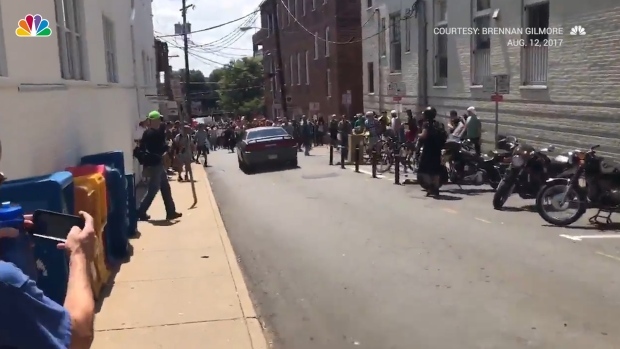 The review also found that an officer was initially supposed to be stationed near the intersection where the car plowed into counterprotesters. But the officer asked for relief out of safety concerns and was not replaced. Heaphy makes a series of recommendations, including suggesting that the General Assembly empower cities to enact "reasonable restrictions" on the right to carry guns at large protests. — Police should make sure that conflicting groups are kept away from each other. — Police should respond immediately to any violence. — Charlottesville police should find better ways to gather intelligence on protest groups and use that information in their operational plans for protests. — Charlottesville police need to do a better job engaging with citizens, business and community groups who are "divided" over the events of the summer. Heaphy served as the U.S. attorney in Virginia from 2009-2015, after being appointed by President Barack Obama. The Republican Party of Virginia criticized the city's decision to hire Heaphy, arguing he should be disqualified because of past political donations he made to Democratic candidates, including $200 to Charlottesville Mayor Mike Signer's campaign fund in 2015.